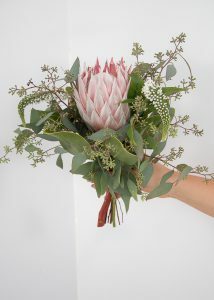 Wedding Florals: Is a Consulted Appointment or an Online Order Best for You? You’re engaged, congrats! 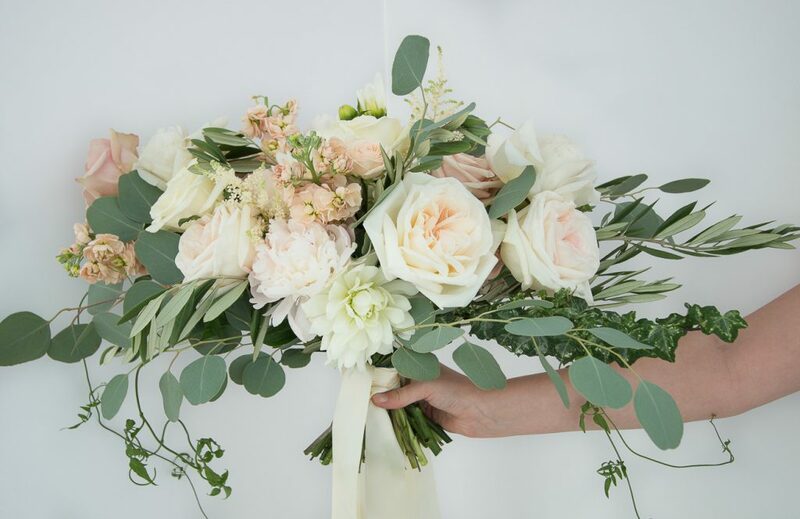 Maybe it has just recently happened or maybe you’re pretty far into your wedding planning process, but you’re ready to start looking into wedding floral options with Amborella, and we are so happy to have you! We know it can be a stressful decision to make, but we hope to make the whole process as simple and user-friendly as possible. This is why we have developed our wedding-booking process into two different options: booking a consult (the traditional route), or ordering online (the no-fuss, do-at-home option). 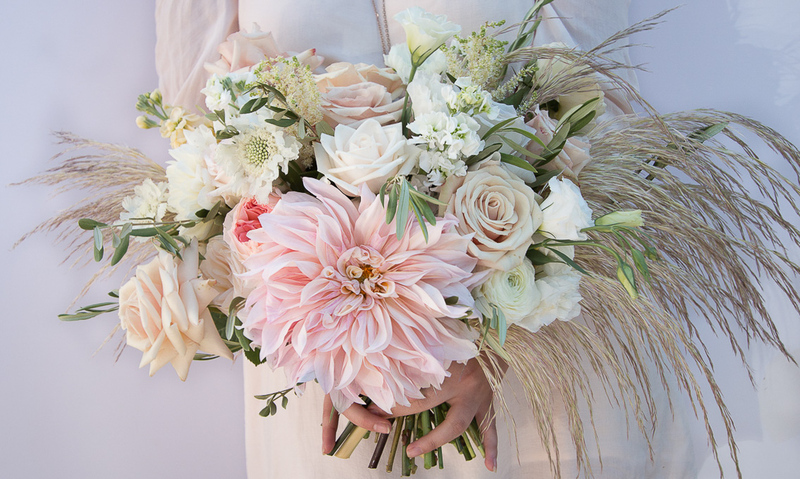 We realize that it can become quite confusing to understand exactly which of these options is best for you and your fiancé, so we’ve decided it was time to put pen to paper (or fingers to keys) and write a quick guide to booking wedding florals with Amborella! What are the Two Options? If you are planning a larger wedding, or require a little more attention to details, this option is likely best suited for you! When you’re ready to start looking into wedding flowers with Amborella, you can easily request a one-hour consult through our website here. Once you have a set time confirmed with someone from our wedding team, all you need to do is decide who you want to bring with you; less is more for these appointments as we want the focus to be on you and your vision, and our space is ideal for just a couple of people to be present and fully enjoy the experience. Leading up to your appointment take some time to develop a pretty strong sense for what you are hoping to have on your special day; come prepared with inspiration photos (Pinterest will be your best friend), and a list of what items you will be interested in discussing. 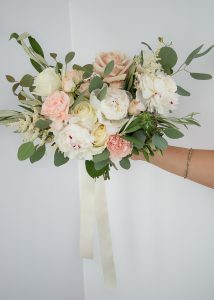 For example: your bouquet, how many bridesmaid bouquets you will require, table arrangements, arch, cake flowers, etc. The consultant will be able to direct you to which items will be best suited for your day while staying within your budget. After you leave, she will work hard to get your completed quote to you within 24 hours so that you can begin to finalize your order! Ordering online is our most stress-free option! This booking style was designed to allow you to order exactly what you need for your wedding day from the comfort of your home, and leave the rest to us! This option is ideal for brides who are having a smaller wedding, or who are not overly particular about the exact flowers that they will require in their wedding florals. This option is also the most affordable! 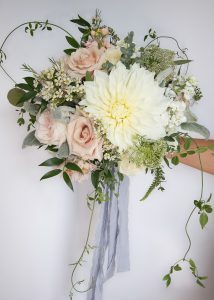 Once you have a clear vision for the style of florals that you envision for your wedding, you can head to our online order form here and begin the process. When choosing the items that you require, keep in mind that several items have multiple size options which are clearly outlined in inches on the website. 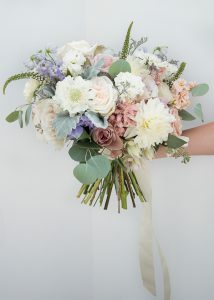 As the first step, you will choose your bridal bouquet size, choose your primary, secondary, and accent colours, as well as upload inspiration photos. These choices will be utilized in the designing process of all the items that you select in order to develop a cohesive look throughout your wedding! Some more detailed items, such as centerpieces allow you to upload additional inspiration photos, but the final product will be kept within the size parameters chosen by you. Once you have completed your order, you can send it our way and we will be sure to file it away until your big day approaches! Online orders are convenient because they can be done from anywhere, anytime! This means that if you want to plan in advance and get your order in months before your big day, then we will hold onto your file until the date approaches, OR you can order up to 2 weeks in advance and be confident that we will get the job done! There are some major differences between the two options that should be kept in mind when deciding how you would like to order your wedding florals. We require a minimum budget of $2000 in order to book a consult, which is often met when planning a larger wedding. If your floral needs involve centerpieces for more than ten tables, and/or if you have more than five bridesmaids along with decor flowers, you will most likely fall in this category. If your budget falls below the $2000 price point, the online order process is best for you. That being said, you can still order online if your budget is over the $2000 mark! You can place your order from anywhere!! Many brides do not live in Calgary, or simply don’t have time to sit down for a consult, which makes placing your order online the easiest option. Delivery and set-up options are also available for online orders. Regardless of the size of your wedding, if you require assistance for the day-of, you can choose this option in the final stages of your order. *Please be aware that with online orders, you are not permitted to any form of a consult at any time. In order for us to keep our prices affordable, we cannot allow one-on-one time with brides who have placed an order through our website. Please take the time to find inspiration photos that are as close as possible to your desired look before you place your order, and then be confident that we will take those photos and create something beautiful just for you!